Home / Posts Tagged "T-shirts"
According to the December 2015 issue of Wearables Magazine, 2016 is going to be “the year of the t-shirt”. So, if you are a promotional item sales person what exactly does that mean to you? Right now that’s a heathered tri-blend. The incredibly soft feel of this type of shirt, partnered with a creative piece of artwork can really get things going for you. Want to really add some value? Let us relabel the garment with a custom tag or neck print, and then polybag the shirt for easy distribution at that trade show or event for your customer. ?What else is trending right now? Performance t-shirts. This is a tricky blank to print on, so if you’ve been burned before by a printer that didn’t know what they were doing…why not use the shop that other’s turn to for this type of job? It’s all about the art. Did we mention our team of rock star designers? Let us loose with a creative direction and we can bang out some killer concepts that will win you orders. All we really need is an in-depth conversation and some basics on what’s needed. Add some creative ideas and shake. Boom. More sales for you this month. We’re the experts at thinking things through and adding some pizzazz to your program. Ever think about adding foil to your art? What about a high density gel or other specialty ink idea? Thinning the inks out for a softer or more retail look? What about a side wrap placement or something off-center? Funkify your customer’s look for something show-stopping that’s bound to get the smiles you want. These days your corporate clients are looking for ways to tighten up their supply chain by going “green”. Has anyone reached out to you about this? It’s more involved that just using a t-shirt made from recycled plastic water bottles. Visual Impressions has worked hard to achieve their sustainability certification from the Sustainable Green Printing Partnership. What does this mean to you? The value is that we’re a trusted source to help you navigate these waters and guide your client into making better decisions. Why stop short with just ordering an eco-t-shirt? Why not use a sustainable printer too? Click here to learn more about our sustainability program. 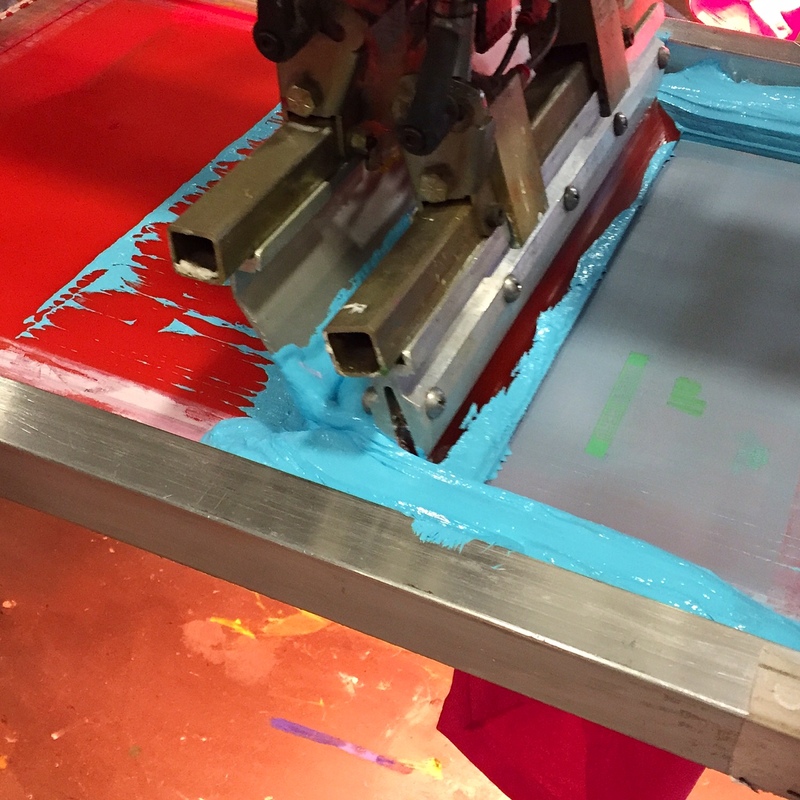 Sometimes there’s more to an order than just printing the shirt. Folding, poly-bagging, hang-tagging and adding custom neck labels or hem tags are essential for some programs. Want to add a retail ready, high-end value to your client’s orders? Get some help solving the challenge with the A-Team that has the skills to make it easy. Who has a distribution center anymore? These days that 5,000 piece order has to be broken down into 1,473 drop ships from a spreadsheet. Who is doing that pack out? You? Why not let the same pros that decorate the shirt handle the drop shipping program too? We can send these out in your packaging, on your third party account, and still hit your deadlines. Ssshhh. We won’t tell anyone that you didn’t do it. So while you are closing more deals, or rounding the back nine at the club…we’re getting that order ready to ship. Our main 100,000 sq ft production facility is located in Milwaukee, WI. We contract screen-print, digitally print and embroider apparel for promotional item distributors all over the United States. Although we can handle just about anything thrown our way, we’ve also just opened up a 10,000 sq ft production facility in St. Louis, MO. Our goal is to make it easier for you. We’re on everyone’s major PSST list (Pack Separately Ship Together) – so if you order your goods from SanMar, alphabroder or S&S they will ship free into us in one day ground usually. Want to see more? Take a quick tour of Visual Impressions by checking out our Pinterest page – just Click Here. If any of the above sounds like something that you’d like to partner with us on, please give us a shout and let’s get the party started! Need a Quote? Contact Us!